Q. What is the Women’s ECommerce Association, International – Women in Ecommerce™? Women in Ecommerce™ (often referred to by the acronym WECAI™) is an online, international community comprised of women who do business with other women (and men) on the Web. WECAI™ is a not-for-profit, professional organization for individuals with an interest in doing business on the WEB. Women in Ecommerce™ is dedicated to the advancement of women in business, industry, education and science. Q. Why was Women in Ecommerce™ created? Women in Ecommerce™ was created to give women who do business on the Web the opportunity to find and do business with other women on the Web locally and internationally. Heidi Richards, the founder realized how valuable her own international network of women had become for her to network and do business with. WECAI™ is the community from which Heidi can share her resources as well as expand her own network. Q. What are the Vision and Mission of Women in Ecommerce™? Q. What are the goals of the organization? To create an international registry of women in ecommerce with a certification program to establish and further their business credibility. Q. How can I join Women in Ecommerce™? You can join Women in Ecommerce™ by going to our Join Us page, choosing the level at which you wish to join and completing the online profile from there. If you prefer to pay by check, you may use this downloadable APPLICATION FORM (right click to download the pdf and mail it with the appropriate dues to our Corporate Headquarters P.O. Box 550856 – Fort Lauderdale, FL 33355. For a list of benefits and resources we provide to our members visit the Member Benefits page. Q: Can anyone in any industry join? Women in Ecommerce welcomes members from all industries and job levels. Q. What types of women are members of Women in Ecommerce? Members of Women in Ecommerce are driven to learn, grow and prosper. By investing in themselves, they invest in their future and the future of women around the globe. You can learn about members in our member spotlights. Q. Is Women in Ecommerce focused on a specific industry or experience level? While Women in Ecommerce focuses primarily on the digital world of technology, internet marketing, ecommerce and social media, we welcome diverse, highly motivated women who aspire to achieve and exceed their goals. Q. How can Women in Ecommerce help busy women like me take full advantage of and benefit from all the resources and opportunities offered? Our members lead busy, full lives – membership in Women in Ecommerce offers self-paced programs so you can invest in your professional development at the speed that makes the most sense for your lifestyle and commitments. Q: Once I join, when will I be able to login to the member dashboard? As soon as you become a new member – you receive access to the member dashboard. The dashboard lists all the member benefits, resources and tools to help you do more business on the web. This includes, audio and video tutorials, ebooks, special reports, checklists, social media graphics, guides, and much more! You will also have special access to our soon to be released online business directory with special listing options (depending on the level of membership you choose. Q. 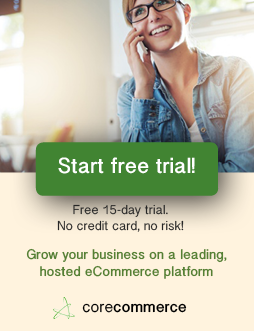 How will I know if Women in Ecommerce is right for me, do you offer a trial membership? We don’t offer trial memberships, however we have the Gold Membership which is our monthly membership level. You can join for a month or more. See if this is for you and if not, you can cancel any time before your next billing cycle. Q. Do you accept applications from all countries around the world? Yes! We our membership come from 56 countries around the globe. And we have virtual networking events where you can connect with other members online and take full advantage of our webinars, articles, and podcasts to help increase your knowledge, and expertise. Q. I joined WECAI as a Silver a few months ago can I upgrade to another level? Yes you can upgrade from any membership level at any time from the member dashboard. Q How do I renew my membership? You don’t have to do anything. Membership is set to auto renew at the renewal rate ($27 a year for Silver, $47 a year for Platinum and $9 a month for Gold). By the way, you can cancel at any time! But we hope you won’t. Q: Can I submit an article to the WECAI e-newsletter? Q. How can I become more involved in Women in Ecommerce™? We have many opportunities for you to become involved. When you join, you can sign up for or even lead, one of the many forums we host. If you are really ambitious, you can help coordinate a Chapter in your part of the world. You might even want to lead it! You can even apply to become a member of our faculty of our online learning portal, WEcademy™. Contact us so we can see how we can help you achieve your goals. Q. What do I do with the media/press releases you send to me? The media/press releases are used to send to any contacts you feel would be interested in your news. It is a great way to get publicity for your company or organization and to call attention to Women in Ecommerce. Simply fill in the blanks (those things highlighted in red) and send the release to any of your media contacts. Your contacts could and should include your local newspapers, radio and television stations and trade or professional journals/magazines. Be sure to include any other professional organizations to which you belong in your media database. If you do not have their preferred contact information, call them and ask to whom to send it to and if they prefer releases be sent via fax or email. Q. Is the Women in Ecommerce site payment form secure? On Women in Ecommerce our SSL certificate is prominently displayed on every page so that our members and guests can feel assured when making a transaction on our site. You can view our SSL towards the bottom of each page on the left menu bar. Simply put your cursor over the SSL and you will see our credentials displayed, and if you click on the icon you will see complete credentials for Women in Ecommerce/WECAI. Women in Ecommerce/WECAI is secured through Comodo Group (www.comodogroup.com) and Trust Logo (www.trustlogo.com). Q. Where are you located and how can you be reached? Our Corporate Headquarters is located in Fort Lauderdale, Florida in North America. Lote 24 – 5° Esq.